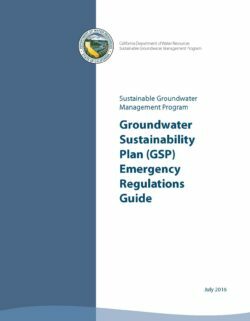 This guide includes information designed to aid with the understanding the Groundwater Sustainability Plan (GSP) Emergency Regulations (regulations). 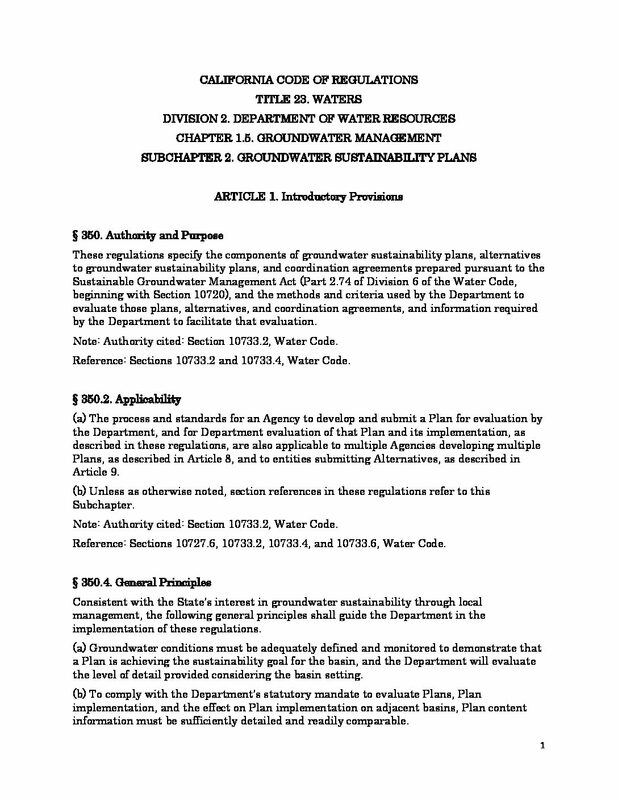 Written for local agencies1 and interested parties including stakeholders, this guide is organized to walk the reader through four phases developed to compartmentalize activities necessary or potentially necessary to address GSP regulations or related requirements, beginning with the formation of groundwater sustainability agencies (GSAs) and leading up to implementation of an adopted and State approved GSP or alternative to GSP (Alternative). Therefore, the intent of this guide is to explain the fundamental concepts of the regulations and information directly relevant to the regulations to the reader through four general phases of development and implementation. 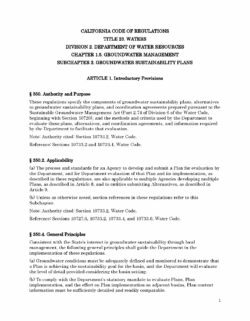 The regulations provide a descriptive overview of requirements for development and implementation of GSPs, Interagency Agreements, Alternatives, and DWR’s evaluation process. This guide focuses on the requirements for completing GSPs and also presents the timeline for Alternatives that comply with the regulations. Details regarding Alternatives are described in Article 9 of the regulations. This guide does not serve as a substitute for the regulations.